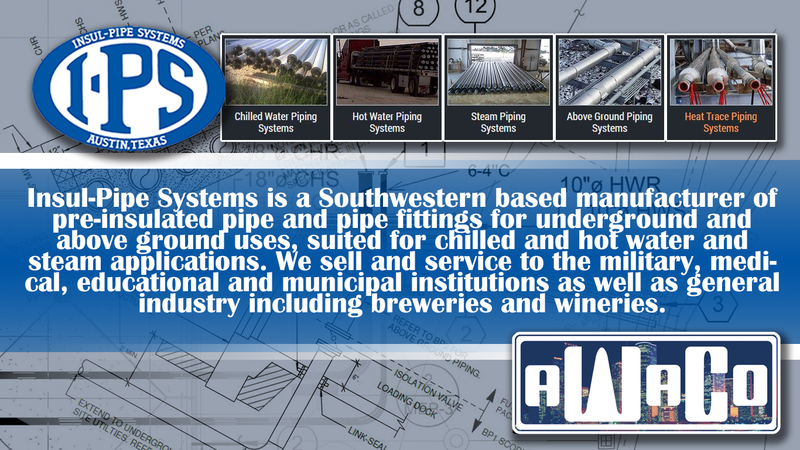 Insul-Pipe Systems is another one of the manufacturers of high quality products we have the pleasure of representing in Houston and surrounding areas. They are located just up the road in Austin,Texas. A Waldrep Company Inc is your source for all Pre-insulated needs. We can provide a quote,drawings,expansion/contraction calculations,and anything else you or your client may need as well as get their products delivered to your job site. Leave the guess work to us and our partners at Insul-Pipe. For inquiries on insulated pipe, or any of our other lines – Email sales@awaldrep.com – Call 281-449-4366 and ask for inside sales – Or stop by 14625 Aldine Westfield to speak with our knowledgeable and customer service focused sales team.